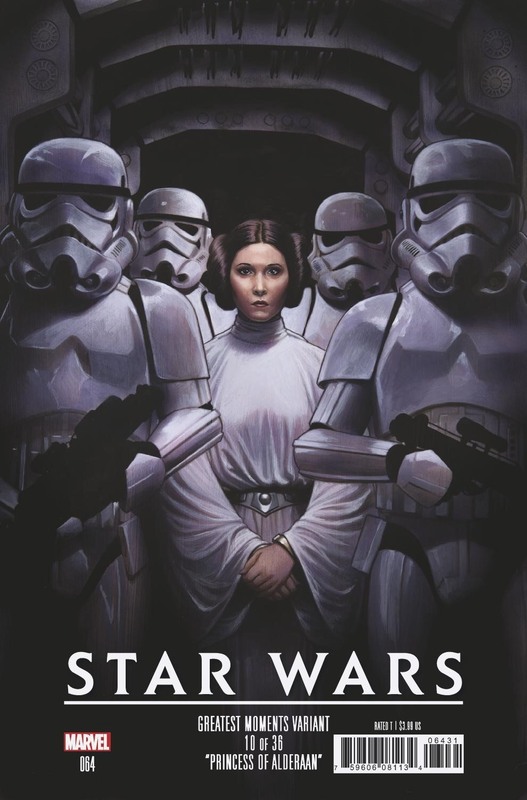 Princess Leia, Luke Skywalker, Han Solo, and a crack team of rogues have landed on Shu-Torun with a dangerous plan to bring down the traitorous Queen Trios once and for all. After infiltrating the Abyssal Rooms to steal a scan of the Queen’s eye with the help of the shape-shifter, Tunga, Leia’s team has locked the entire planet down. The Rebels complete the first phase of their plan to sabotage the Shu-Torun infrastructure. Amazingly, it turns out successfully. Almost too easy. However, phase two appears it will unfold a bit differently as the extremist attitudes of the Partisans comes to surface and they form their own objectives. Will Shu-Torun end up useless to the Empire or will it be left in entire planetary ruin? It was easily foreseen the Partisans were going to alter the Rebels plan to fit their agenda. It is understandable that Leia chose to utilize them for a mission in which no one may return but she may have underestimated their desire for vengeance. The plot has certainly thickened as we find Luke attempting to manage the extremists but their obvious dedication to their ideals and their leader, Benthic, will be insurmountable. The Rebels are going to have to face down their allies, Queen Trios, and the yet to be revealed Imperial Forces. 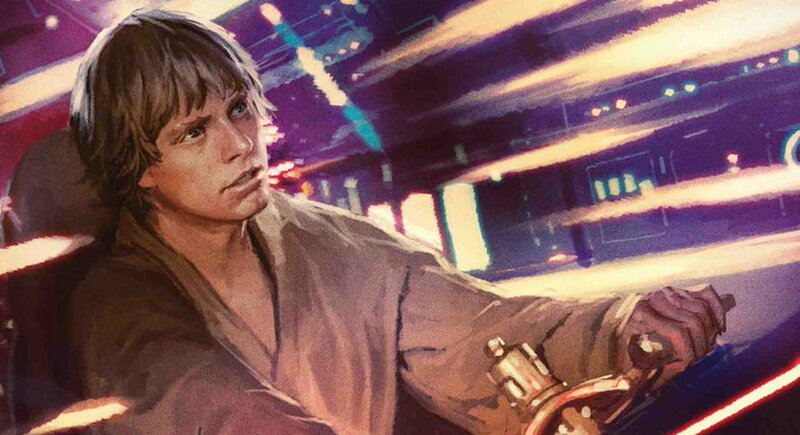 Although, Leia never expected the expedition to be a “milk run”, it will be interesting to see what sort of plan for contingency she has in mind. 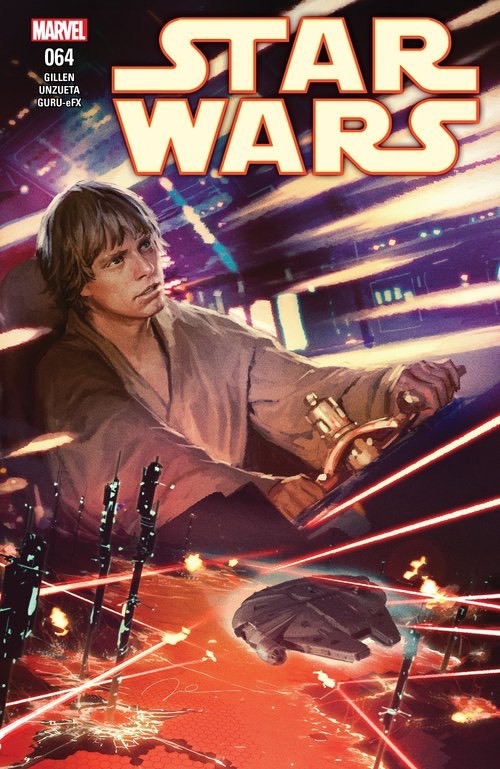 Kieron Gillen has set out with building a story that will be fitting for his graceful exit from the Star Wars universe. Tying together all the elements of Shu-Torun in the self-titled series as well as his Darth Vader series has created a tale that can only be described as epic. If it were all to be combined in one volume (hardcover too), it would be a perfect addition alongside the Jason Aaron omnibus. Certainly, something that would have a place on my shelf. There is very little that can be said about the artwork in this series other than “fantastic”. Well, you could use a smorgasbord of synonyms that have to the same affect. Gerald Parel has produced another excellent cover that I adore enough to have on my wall. 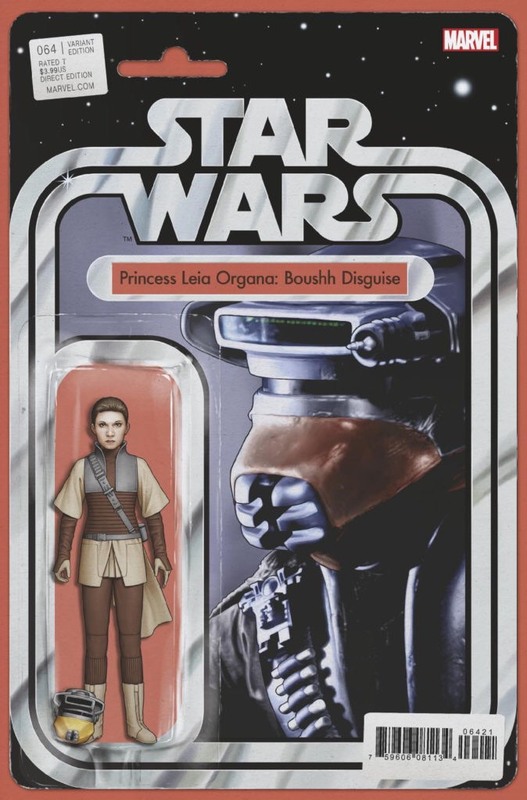 John Tyler Christopher has produced another fine reproduction of classic figures this issue features one that got away from my collection with “Princess Leia Organa: Boushh Disguise” Finally, Adi Granov’s “Greatest Moments” cover is exquisite and a must-have. Once again, Marvel has put out the complete package of great storytelling and spectacular artwork. I am anxious to have the next issue in hand and wouldn’t be surprised if you did too.